Solar Investment Tax Credit (ITC) extended to 2022. Solar panels are becoming widely used as a source of energy all over the world. Many homeowners, commercial places, social institutions as well as vehicles are switching to solar panels to generate the electricity they need. The switch to solar panels is been triggered by a need to save energy and money and to reduce the effects of climate change. To support massive capacity additions of solar power, countries are supporting individuals and businesses to switch to solar by creating policy-enabling environments that support clean energy development. For instance in the USA, the government has been implementing the Solar Investment Tax Credit (ITC) since 2006 which has promoted the growth of the solar industry and has helped to create jobs across the country. The ITC was extended recently and instead of expiring at the end of 2016, it will expire in 2022. Under the extension, the ITC will remain at 30% through 2019, and then will decline gradually for two years and eventually will fall to 10%. The ITC allows for solar panels project developers to claim the credit for the year the project is initiated or construction is started. For homeowners and businesses intending to switch to solar they can buy down the total cost of switching to solar by 30% depending on their tax appetite. With additional application of solar tax rebates from the State, the solar panel cost can be reduced even further depending in what state your home or business is located. Altogether, homeowners and businesses could expect to reduce the solar panel cost by almost half or 50% of the total cost of switching to solar based on their tax appetite and the specific tax rebates offered by the state. The ITC will remain at 30% through 2019 or for a short-time as the cost of solar panels is expected to reduce even further as the PV technology continues to advance. Therefore, for homeowners or businesses that may want to take advantage of this tax credit and enjoy maximum solar savings may need to act as soon as possible before 2019. What is likely to happen in the future with the extension of ITC. Research conducted by GTM Research, HIS and Bloomberg New Energy Finance all show that ITC extension will increase the growth of solar and an additional 25GW of PV will be put online. Additional solar capacity is expected across all the solar market segments, including utility, commercial and residential. 5GW growth is expected in the commercial segment and 7GW is expected in the residential market segment. 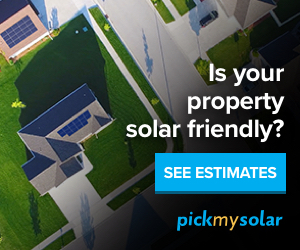 Determine your solar panel cost here and see how much you can save with solar panels while applying the 30% ITC before 2019. As a homeowner, small business or government organization you can learn about your savings for going solar here. You will also learn more about solar panel cost, different solar panel brands and how much you can save with solar panels. You will also be provided with a customized solar panel report that is specific to your roof design, orientation to the sun and the amount of sunlight that is hitting your roof while considering different weather conditions that affect solar energy such as amount of sunlight, humidity and cloud cover. Learn more here and switch to solar. Please leave any comments you may have below. You can also contact us at support@switchingtosolarpv.com for any questions or comments you may have.